Perfectly aged Burgundy in MAGNUM! Dark red. 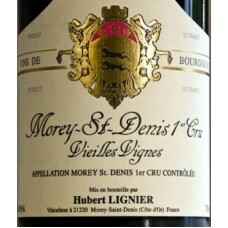 Flamboyant aromas of currant, smoke, roasted nuts, beefsteak tomato and underbrush; very Morey-Saint-Denis. Then impressively round, supple and full for the vintage, with fresh red fruit flavors and harmonious acidity. Not particularly sweet but rich for the year. Finishes with round, ripe tannins and excellent length.